Recruitment is no easy task, since a person has to be evaluated on the basis of a number of aspects. The person who is doing the recruitment and is taking a call after the completion of the project is one who is taking care of a number of aspects. Hence he has to make a decision on the basis of a number of parameters. 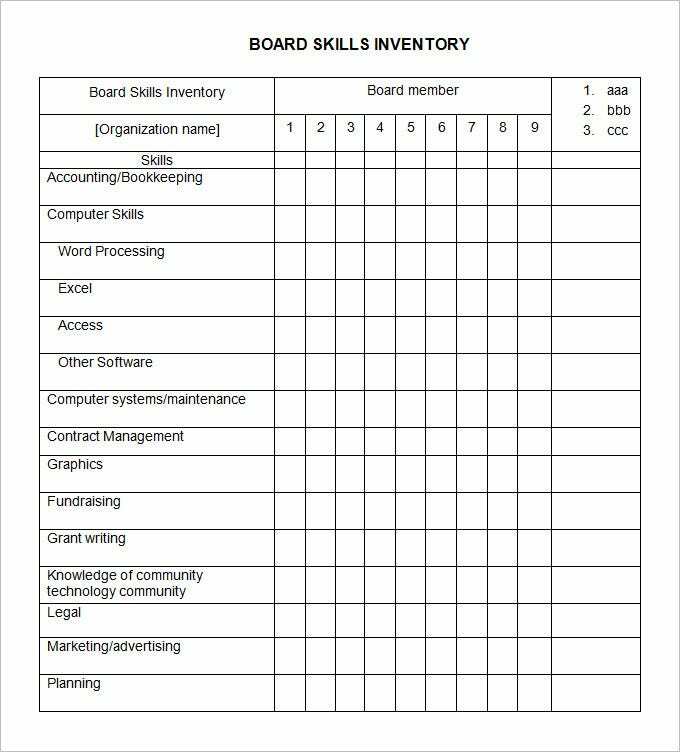 The skills inventory templates for employees and managers is a document or is a format that can be trusted to provide its users with a great structure and the choice and option of a number of skills and traits that needs to be evaluated at the time of the recruitment. Extremely simple and clean, the essential minimalistic feature of the template helps the user to make a proper assessment and recording. The format that is provided by the templates is very professional and easy for the reader to follow. 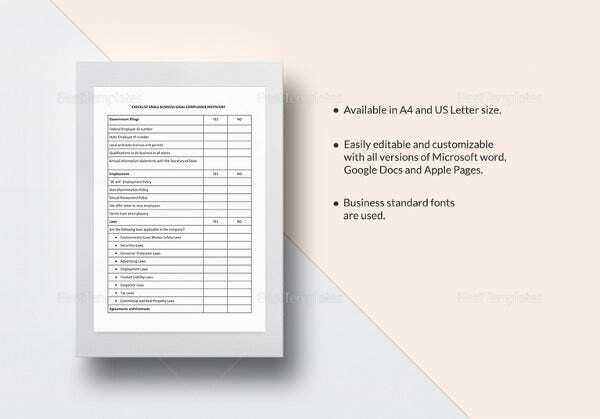 The templates have a grid pattern that gives the whole document a much systematized look. These template patterns have a grid style on it that gives the entire format a very neat and tidy look. The feel of the overall report is very corporate and very professional. What is best is that the overall structure is very easy for the reader to follow. A manager or an interviewer will not have to see and analyze for long the exact strengths and the weaknesses of an employee. The work is simplified by these templates. 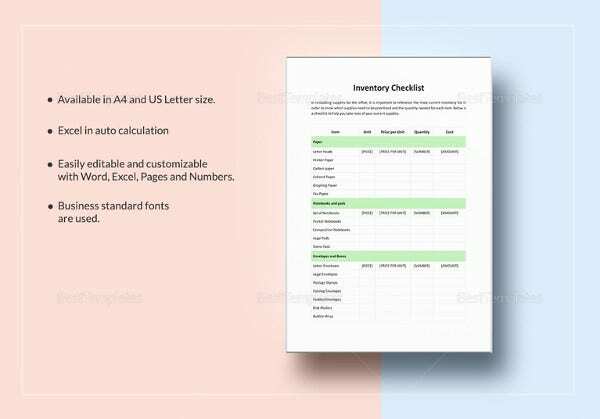 The best skills inventory checklist templates allow you to capture information about the skills inventory in a highly readable manner and later respond to the same by matching various earlier captured parameters. 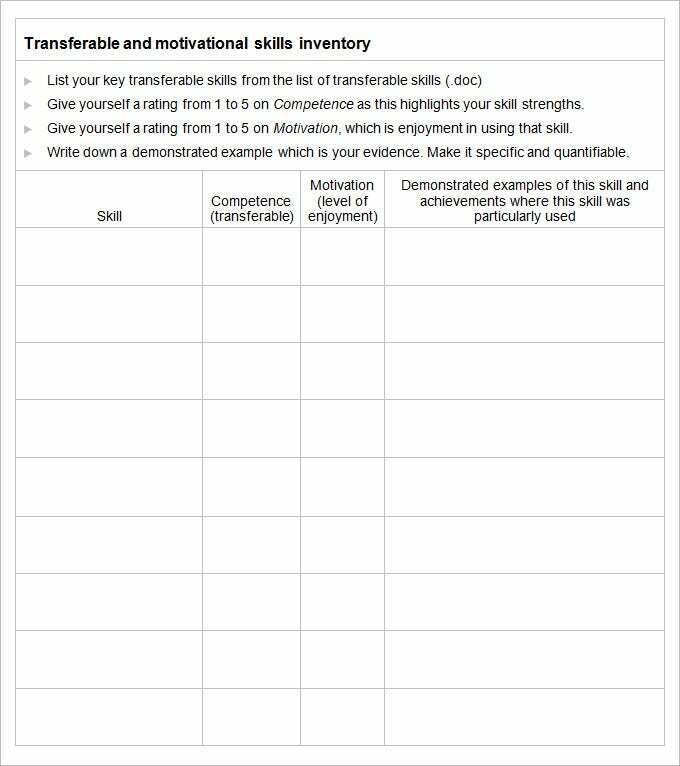 Also, you can use the skills inventory worksheet templates to list down all possible skills and then display it category wise or in any other mode of preference. 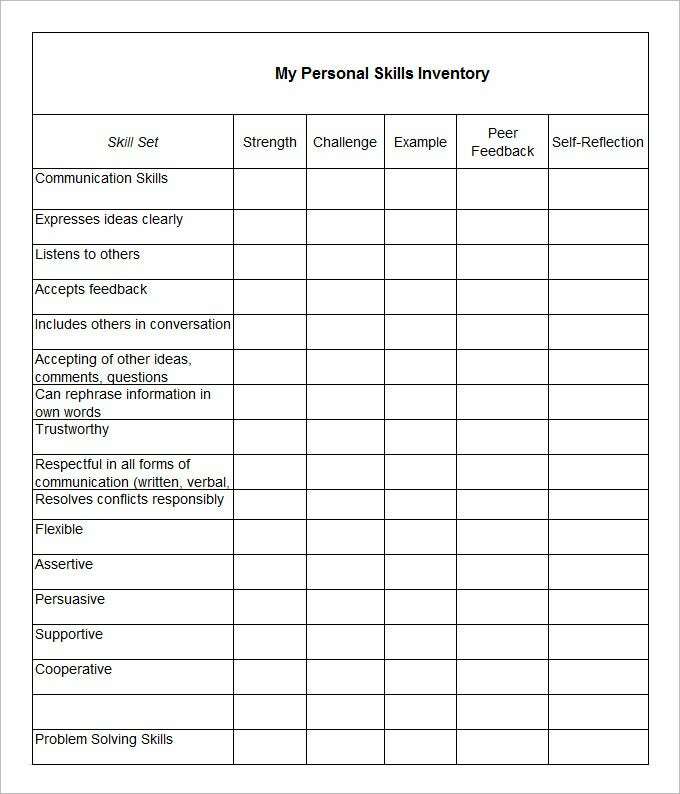 To not do things over and over again, you can use the top skills inventory template as base and design your own template which has only the parameters which you need and then proceed with the managing part. You can then directly take a printout after filling the details and maintain the list easily. 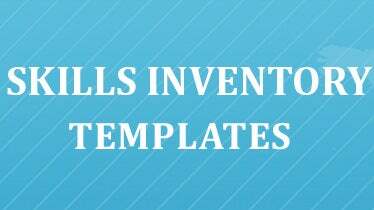 What is Skills Inventory Templates for Employees and Managers? 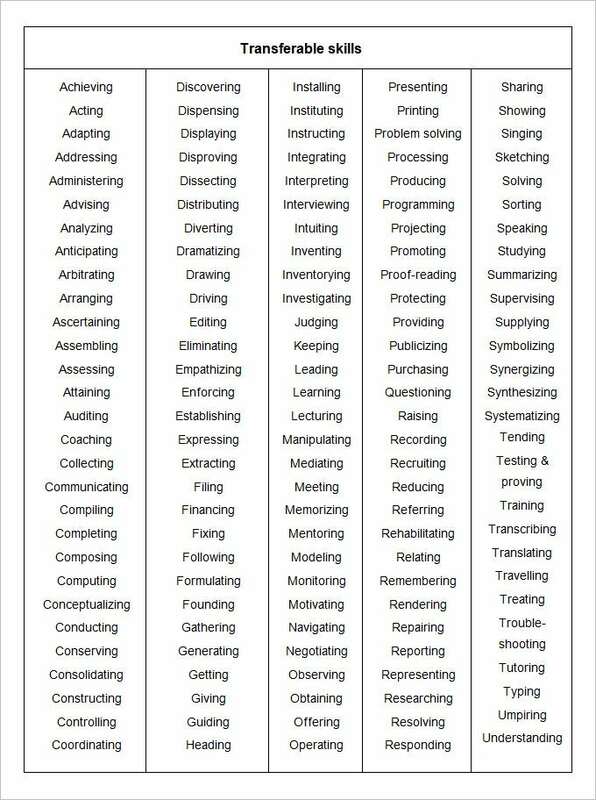 This is a template format that can be used to write down the level of various skills and attributes in the nature and the character of the employees. The designs of these formats can also give an idea to the HR of the company that what are the future supports that are required for an employee. How to Create Skills Inventory Templates for Employees and Managers? The first step is that the HR or the management of the company just to understand the purpose of the document. This will help them decide on the nature of the structure that they will be choosing in the time to come. The structure or the designs of the template are their biggest benefit that reduces work of the user. Creating such formats is no easy task. The skills inventory templates for employees and managers give you an idea of the various sub heads that are to be considered. If you have any DMCA issues on this post, please contact us!